What’s more fun than birding with friends? 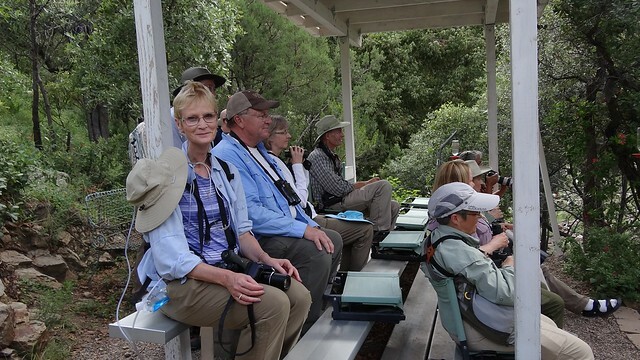 Birding southeast Arizona with friends, of course. After meeting up at the Hampton Inn, our congenial group — birders from Iowa, Texas, Nebraska, and New Jersey — headed straight to the first of our several Subway lunches: predictable, reasonably healthy, and usually fast, except in this case, when the single person at the counter seemed just a bit overwhelmed by the appearance of a dozen customers eager to be on their way. 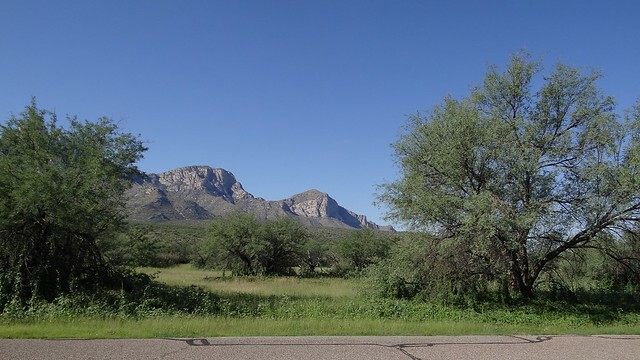 Being based at the airport, at the very southern edge of Tucson, had the great advantage that even if that first lunch seemed to take a lifetime, it was still just a quick zip down the interstate, past the shimmering San Xavier Mission and through the tangle of Green Valley, to Madera Canyon. 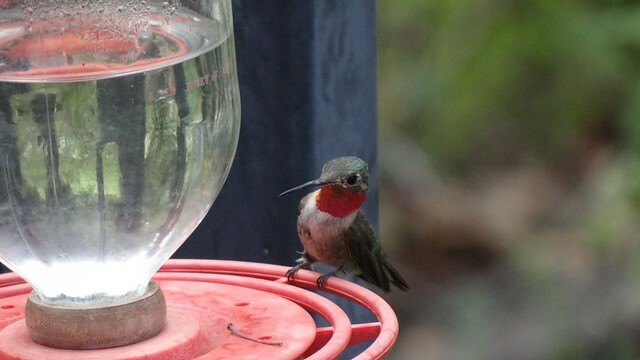 And wonder of wonders, the first of our “target birds” was waiting for us, guzzling nectar through its improbably long bill from one of the feeders at the Santa Rita Lodge. Plain-capped starthroats, common enough not too far south of the international border, are barely annual late-summer visitors to southeast Arizona, making this species one of the most hotly desired by traveling birders. 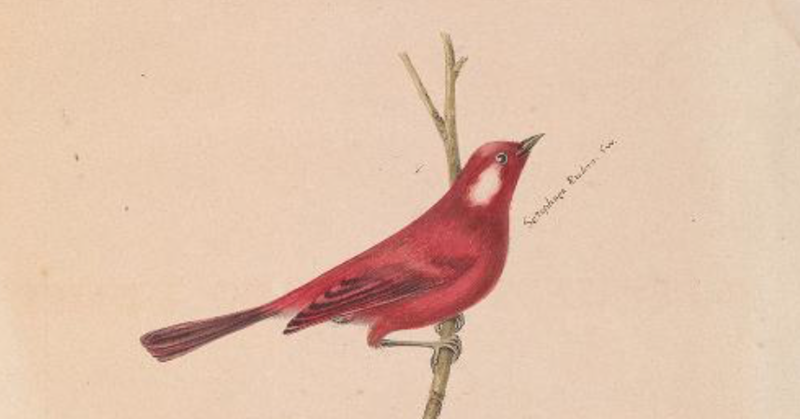 “Our” bird, which returned several times during our feeder-watch, was an especially fine specimen, even showing the ruby-red “star” on the throat a time or two. I’d budgeted all afternoon to wait for the starthroat, but since the bird had been so immediately obliging, we were able to move uphill to the next stop on the feeder pilgrimage, Madera Kubo. 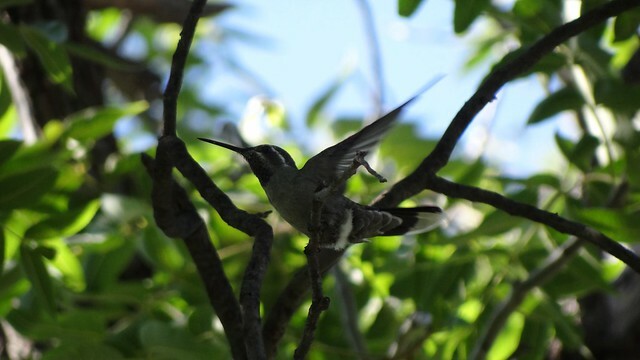 The highlight here was an even bigger hummingbird species, the dark and dramatic and very aptly named magnificent hummingbird, several of which were in possession of the shady sycamore limbs and the feeders that hung from them. 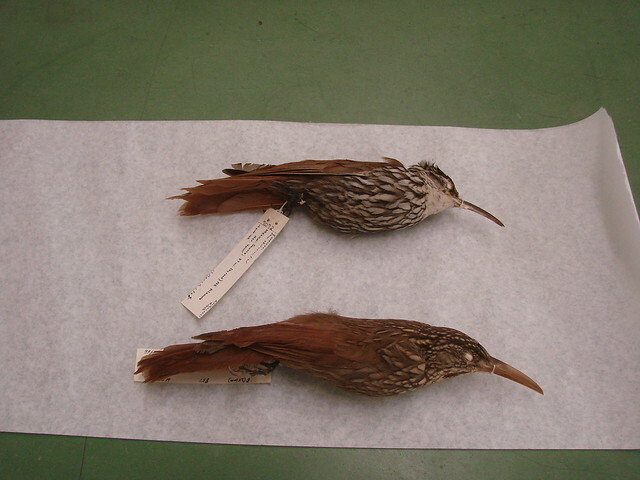 Here, too, we had our first good looks at the somber and beautiful rufous-crowned sparrow, the only member of its tropical genus found in the United States. Dawn was just brightening when we left the hotel the next morning, and the local burrowing owl family was up and about its business when we drove by to check on them. 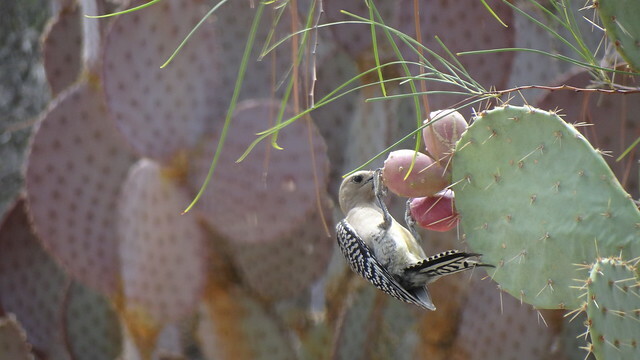 These captivating little birds are one of the specialties of urban Tucson; pairs are scattered all over town, but it’s hard to beat this burrow for convenience, just minutes away from the airport as it is. 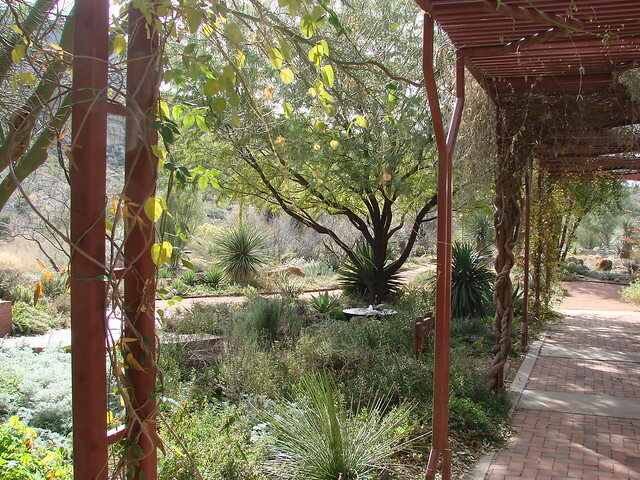 Our next stop was even more urban, the green oasis of Reid Park. Better known as a winter birding locality, Reid Park has begun to attract summering water birds, too, and on our early morning visit we found several neotropic cormorants without difficulty. 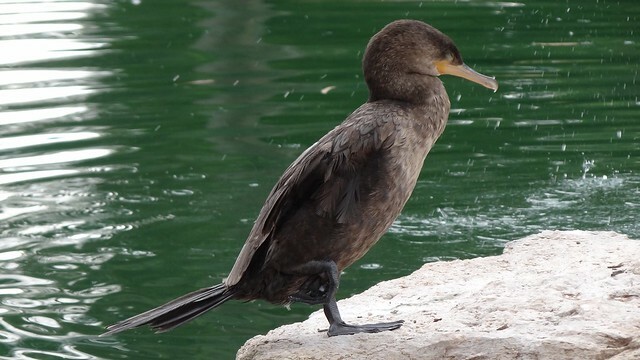 This species is exploding in numbers and distribution, in the Southwest and beyond, but is still uncommon in the Tucson area—local breeding, however, is certainly just a few years away. 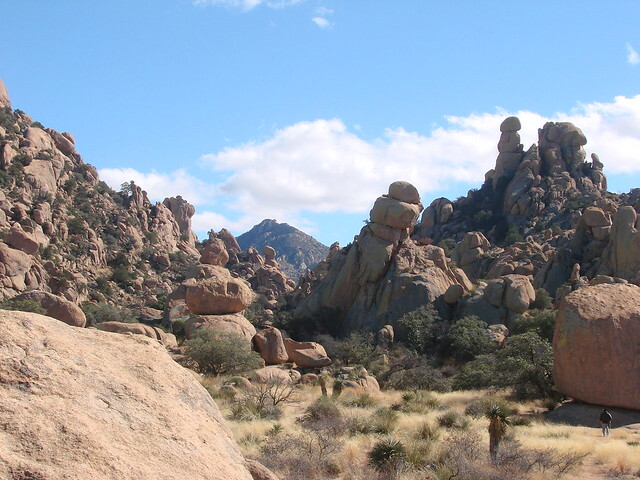 Before the morning warmed too much, we continued north to Catalina State Park, a vast tract of high Sonoran desert and mountainside. A great hairy tarantula on the roadside left no doubt that we were deep into the Arizona monsoon. This is perhaps the best site anywhere in the world to watch the very local rufous-winged sparrow, and we had outstanding views of singing birds, feeding birds, and birds feeding just-fledged young. 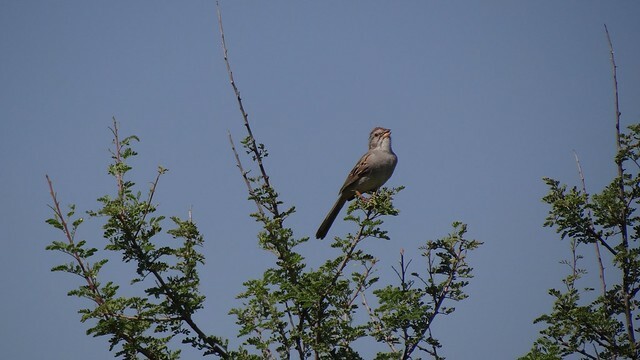 This species, which occurs in only two US states and two Mexican states, is at a very high peak in its population cycle right now, leaving birders to wonder when the next crash will come: in the past, there have been periods of many years when this fine sparrow has been scarce or even apparently non-existent north of the Mexican border. Farther north, the San Pedro River was raging when we stopped to bird the Dudleyville crossing. Not even local pickups were attempting to splash through what is normally a trickle at most, and the torrent made it hard to hear any but the loudest and most persistent of singing birds. Fortunately, this stretch of the river is the stronghold of the yellow-breasted chat, one bird that can make itself heard above nearly any other noise. 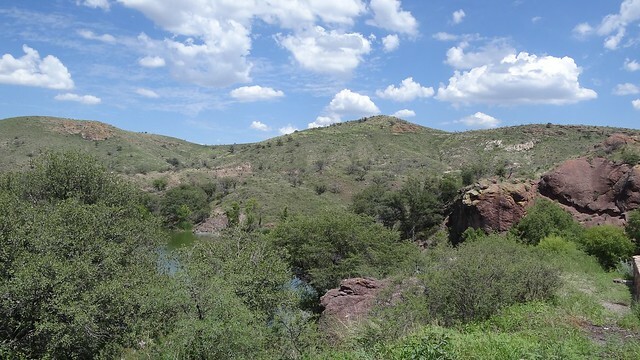 At the mouth of the San Pedro, Winkelman is another in a long stretch of grim mining towns—but this one has a city park on the Gila River, where we saw the tour’s only bronzed cowbirds. The lovely footbridge across the Gila was broiling, so we moved on to the golf course, where the shade and open lawns attracted half a dozen common ground-doves. As abundant as its name suggests, this can still be a difficult species to see (and especially to see well) in Arizona, and we counted ourselves lucky to have such outstandingly good views of this lovely little pigeon. Our birding should have been over for the day at that point, but on the drive back to Tucson, just south of Dudleyville, two adult gray hawks surprised us by appearing right next to the road. We would see this rare species several times in the days to come, but no matter how familiar it might become, this beautiful raptor takes your breath away every time. 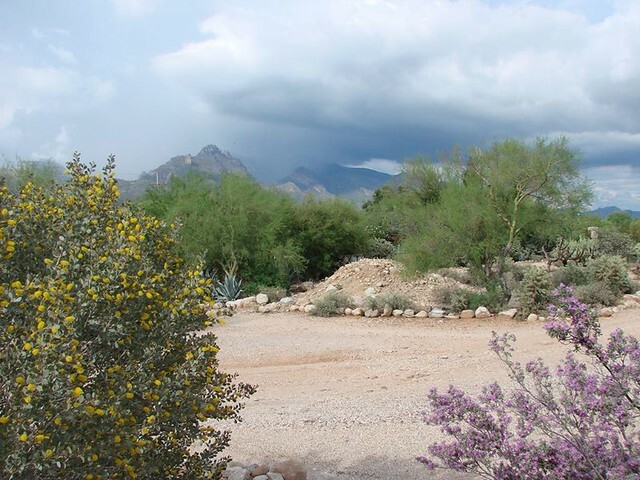 We’d had enough of the desert heat for a while, so the next day found us on the long road up Mount Lemmon, Tucson’s “home mountain” in the Santa Catalinas. 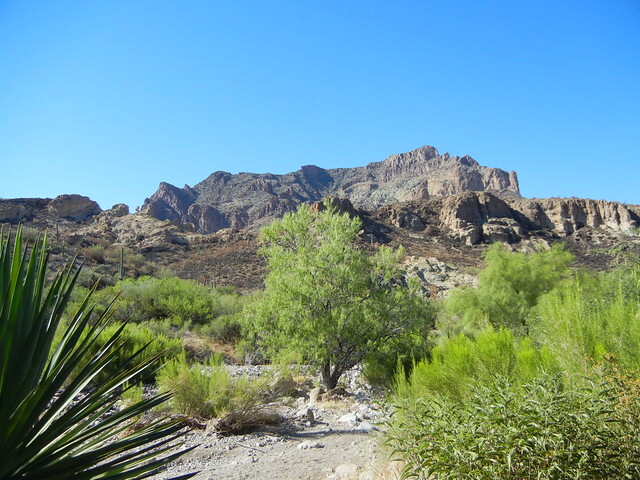 The Gordon Hirabayashi Area, on Prison Camp Road, produced the first snake of the tour—a Sonoran whipsnake—and good looks at bridled titmice, rock wrens, and rufous-crowned sparrows; canyon towhees and Mexican jays provided the mid-elevation pedal point. Bear Canyon and the Cypress Area gave us our first painted redstarts and yellow-eyed juncos, strange shuffling tame bright-eyed sparrows, but we really hit the avian jackpot at Rose Canyon, where we soon enough found ourselves surrounded by peeping, piping pygmy nuthatches and shimmering western bluebirds. 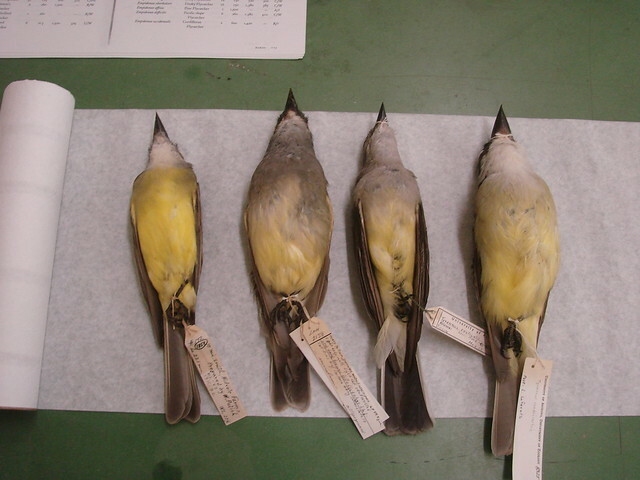 There were none of the massive flocks of migrants that can be such an exciting—and such an unpredictable—feature of mountain birding in the summer, but any disappointment was easily overcome by good looks at both black-throated gray and red-faced warblers, each in its own way one of the most beautiful of parulids. We continued our ascent after lunch, following in the footsteps of the botanist Sara Plummer Lemmon all the way to the Overlook, 6500 feet above downtown Tucson. After dinner and a gasoline stop, it was time for some owling. That’s an optimistic activity this time of year, and at neither of our sites—Bear Wallow and the Chihuahua Pine Area—did anything sing. We did get abundant reminders of the nocturnal habits of yellow-eyed juncos as they chipped and lisped in the darkness all around us; the pair of peregrine falcons screaming down Bear Wallow just at dusk may have been to blame for the silence of the little owls there. The next morning it quickly became apparent that we’d been using our good luck too fast. Our target birds—black-capped gnatcatchers, rufous-capped warblers, and northern beardless-tyrannulets—were all playing more or less hard to get, but I think eventually everyone got at least a glimpse of at least some of them. And then. It couldn’t be, and yet it was: some sharp object leapt up from the road to attack the tire on my vehicle, and suddenly we weren’t going anywhere. Much as I dislike car caravans, this time I was endlessly thankful for the second vehicle, and soon enough our startlingly efficient pit crew had the tire changed and we were once again on our tentative way. After lunch, I set out to work on getting the tire repaired or, as it turned out, replaced. No go. Our rental agency would authorize replacement only from certain tire companies, and the branch of Big O in Green Valley, which turned out to be conveniently just down the road from the clinic where the group was with our patient, had nothing suitable in stock. So we all returned to Tucson, where a replacement vehicle awaited, saving the time and effort that would have gone into dealing with a tire store ourselves. We had an early dinner before some of us set off for an evening in Madera Canyon. After what had been too eventful a day, the quiet of Madera in the dark was just what the spirit needed. Northern poorwills whistled in the distance, and one or two elf owls—the smallest of that family in the world—chuckled and yipped from the streamside sycamores of Proctor Road. 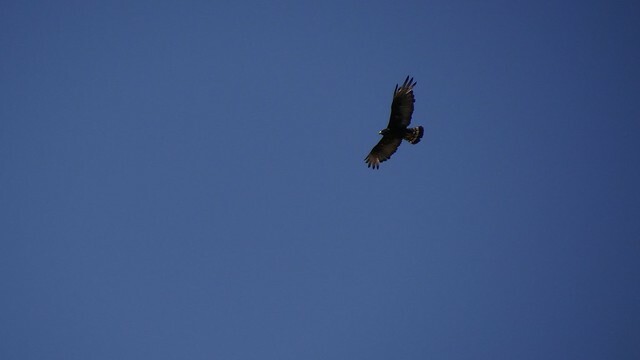 Higher in the canyon, the keen-eared picked up the hooting of a whiskered screech-owl. The night had been late enough that a slightly more leisurely start was welcome the next morning. The Amado sewage pond lived up to its reputation for producing surprising birds with a couple of neotropic cormorants and a little family of black-bellied whistling-ducks; we would see dozens more whistling-ducks on the Rio Rico ponds, joined by a sullen-looking black-crowned night-heron standing in the shade of the willows. Two zone-tailed hawks, a species we saw several times, gave us remarkably close views, and a series of quick glimpses of noisy tropical kingbirds ended with one field-guide-classic individual perched just outside our vehicle windows. Though the Patagonia Roadside Rest was quiet in the heat of late morning, the Paton house in town was as lively as it always is. 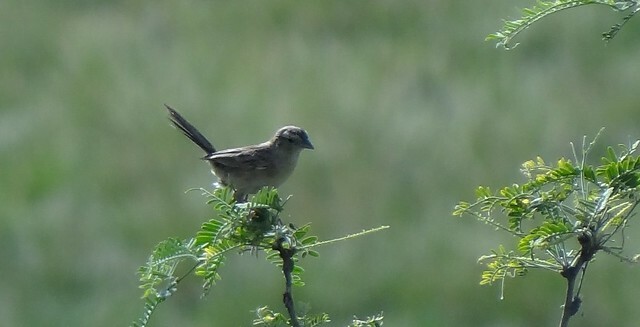 An Abert’s towhee welcomed us at the front door, and noisy Inca doves let us watch them at leisure. 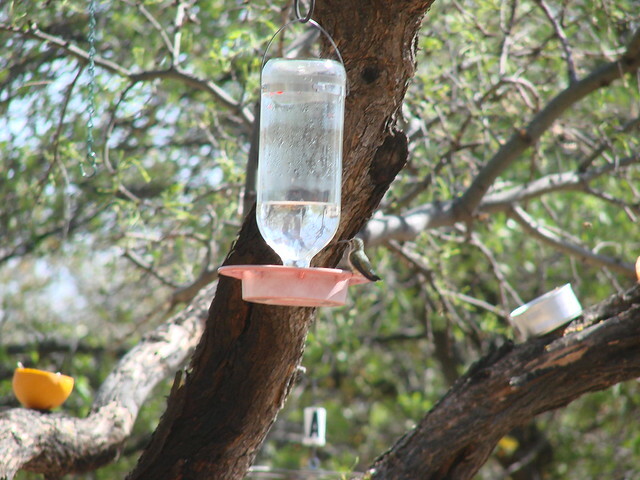 The sugar water feeders were buzzing with black-chinned and broad-billed hummingbirds; it was a matter of just a few minutes before a brief rattle announced the arrival of the star of the show, a violet-crowned hummingbird, which paid repeated visits to the feeders, sometimes perching just in front of us. The short reach of Sonoita Creek between Patagonia and the Roadside Rest is the best area in the country for this very local and uncommon bird, and we could not have hoped for better views. The second and last snake of the tour was a lovely Sonoran mountain king snake making its way safely across the highway just north of Nogales. After fortifying ourselves and fueling our vehicles, we headed west on Ruby Road. Peña Blanca Lake is always a pleasant spot, though this time our visit was largely unimpeded by birds. The first good look at a varied bunting for most of us was, unfortunately, of a brown, first-cycle male, in full and vocal possession of the parking lot. More exciting was a small flock of bushtits busily feeding in a nearby juniper, then flying out in their characteristically hesitant single file. The rest of the way to California Gulch was smooth sailing, almost surprisingly so in comparison to past years when eastern Ruby Road has been less welcoming. 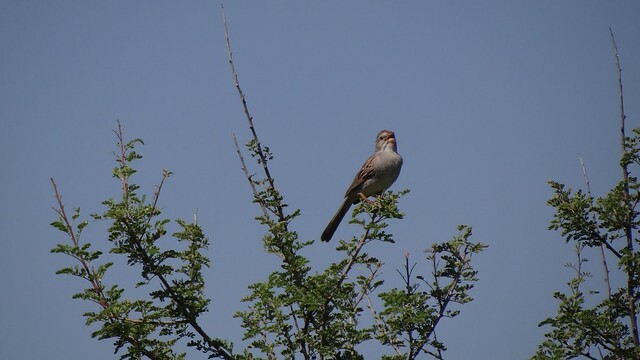 We parked one vehicle and shuttled the group in over the rough road to the Gulch; five-striped sparrows were audible just a few yards down the steep trail into the canyon, and we eventually got diagnostic looks at singing birds in variably poor to fair lighting. And best of all, we were on schedule. Pride, though, goeth before, as they say, and just north of Arivaca, it happened again. This time we had double the reason to praise Kathi and Elliott’s foresight in supplying us with two vehicles, as the suv with the flat also proved to be the suv without a jack. Fortunately, our second vehicle was more thoroughly equipped. As our ever more experienced pit crew set to work, The Mayor and Lucy Lou stopped to see if they could help. They could; in fact, the jack they unloaded was downright Archimedean in its leverage. Once again we were on our way, but all advantage of time was lost, and we arrived in Green Valley just about the time I’d counted on getting to Willcox and our hotel for the night. Food made things better, and the long drive east was—blessedly—uneventful. 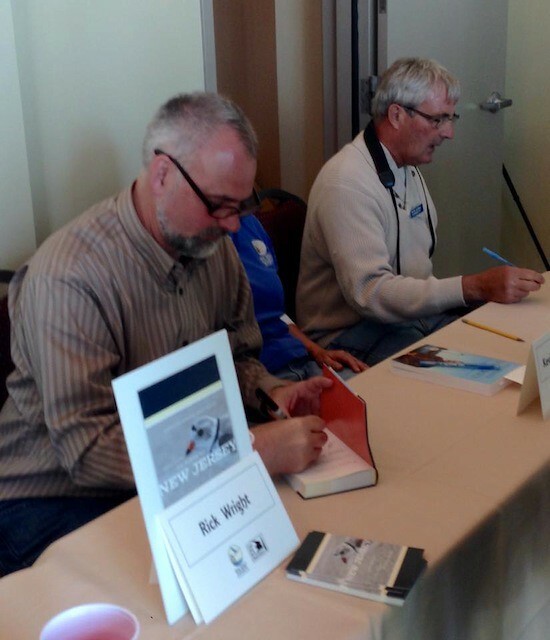 Once in Willcox, we caught up on our bird lists and slept the sleep of the weary. 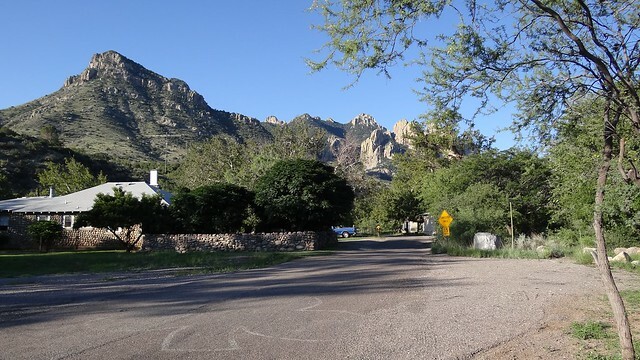 Reluctant to venture into the Chiricahuas without a spare tire, we flipped the itinerary to visit the Huachuca Mountains instead, slightly farther from Willcox but significantly closer to the civilization of Sierra Vista should anything (else) happen to go wrong. All the circumstances came together in a happy way—we deserved it, I thought—when Kathi was able to get us a replacement vehicle (another replacement vehicle!) in Sierra Vista, and after impatiently waiting for our new Acadia to be cleaned and readied, we were, once again, headed out to the birds. The formalities at Fort Huachuca change hourly, it seems, and this time we were fortunate to hit the main gate on a day when all that was required was a quick scan of our driver’s licenses. Just a few minutes later we were on the roadside in the Huachuca grasslands, admiring the Botteri’s sparrows singing all around us. One in particular was clearly determined to be named the most photogenic of his species as he chipped and twittered and trilled from a mesquite twig just across the narrow road; those of us who had not experienced this bird in its quiet season came away with what I am afraid was a very misleading sense of how easy—or rather, how difficult—these normally shy grassland sparrows can be. We started up into Garden Canyon, only to be stopped by locals with bad news: the canyon road was closed by high water and washed out entirely not far above the first picnic area, with all access, even on foot, prohibited. 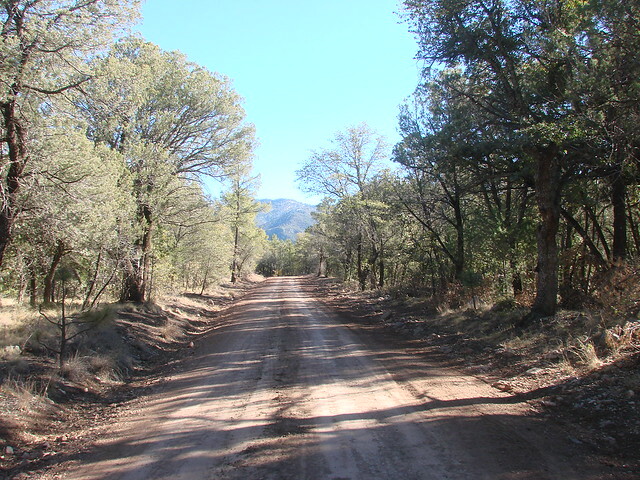 Huachuca Canyon, though, at the north end of the fort, was still open; the only complication was that visitors to Huachuca were now required to register at the fort’s police station. Then commenced the long search for the police station (“you can’t miss it”). At last successful, we made our way to the end of the Huachuca Canyon Road just in time to enjoy scope views of a juvenile elegant trogon perched above the tail. Even more exciting was the presence of that bird’s male parent, his green back and red belly flashing every few minutes through the foliage as he gleaned fruit from the trees just a little ways off the trail. 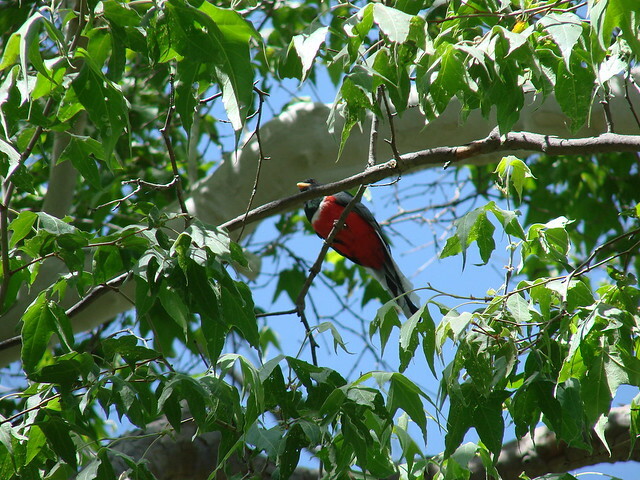 The mother bird was also in the neighborhood, though less obligingly visible, and the occasional honking of at least two more trogons across the narrow canyon suggested that this infinitely charismatic species had had a good summer in the mountains. The canyons of the Huachucas are perhaps most famous for their hummingbirds. The feeders in Ash Canyon are the best site in the world, bar none, for good looks at Lucifer hummingbirds, and we gazed our fill on a fine male and an equally, but very differently, striking female. A puzzling bird with a straight bill and a solid purple gorget was presumably a hybrid between that species and another, perhaps a black-chinned hummingbird; as more hummingbird species move north into the southwestern US and western Mexico, and as feeders concentrate them more closely, hybridization is an ever more frequent phenomenon, and one that birders must always keep in mind when an unusual hummingbird appears. 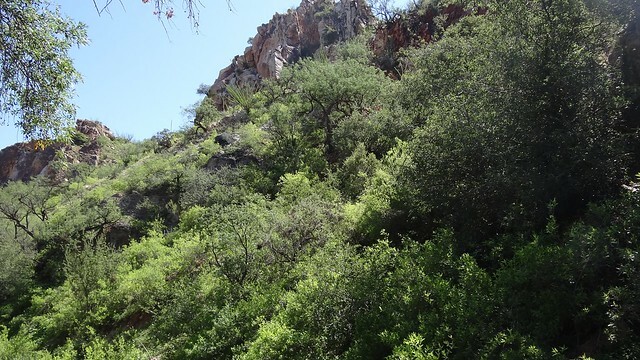 A different suite of species awaited us in Miller Canyon, where we climbed the short trail to the Controlled Access Site and its trochilid amphitheater. 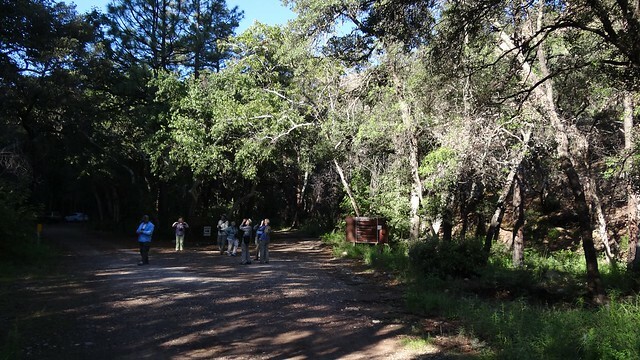 The difference in elevation was striking, with broad-tailed and magnificent hummingbirds suddenly the common species, joined by a few migrating rufous or Allen’s hummingbirds (or, just conceivably, both of those usually indistinguishable reddish Selasphorus). 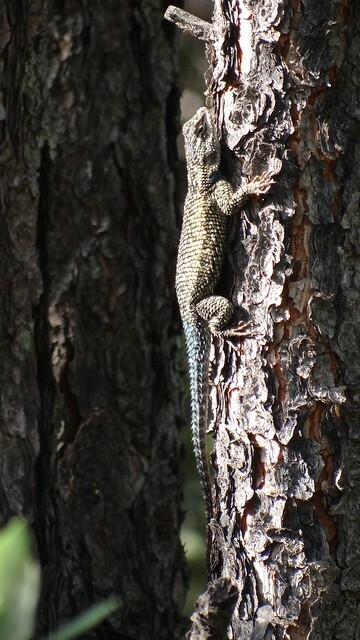 A Yarrow’s spiny lizard, montane cousin of the abundant Clark’s and desert spinies of the desert lowlands, was nearly as colorful as it scaled the trunk of an alligator juniper. 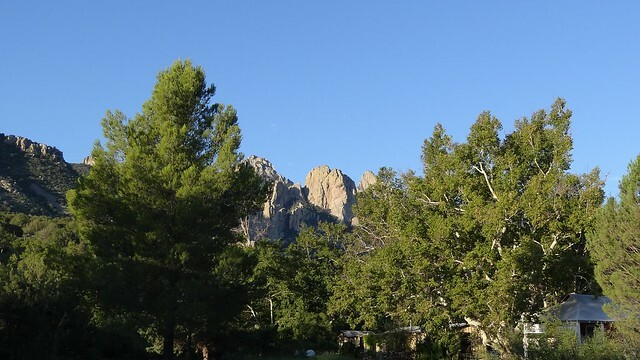 Thanks to the reshuffling of our schedule, we ended up saving the best, the biggest, and often the birdiest for last: the Chiricahuas. 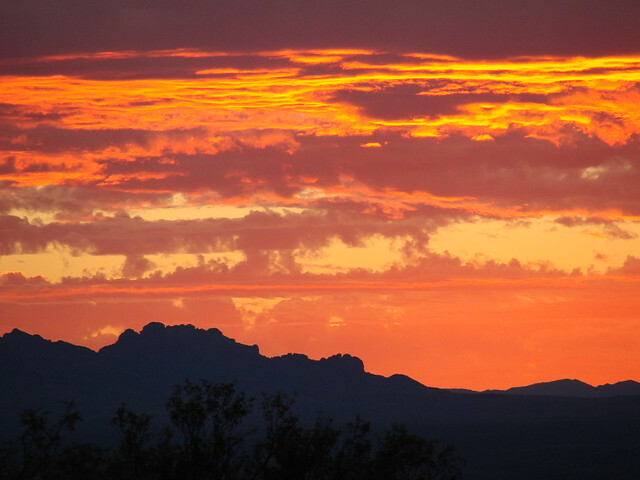 The sunrise approach from the New Mexico side, besides being nearly can’t-miss for Chihuahuan ravens, has the advantage of presenting the most splendid of southeast Arizona mountains in what is literally their best light. It was bright and cool and delightful when we arrived in Portal that last full morning of the tour. Cactus wrens and a badly worn curve-billed thrasher—so much in need of a molt that we couldn’t even tell whether it was an Oberholser’s or a Palmer’s thrasher—played around the roadsides, and a yellow-billed cuckoo, surely a migrant, sunned and preened high in a tree. It’s tempting to drive straight up into the mountains, but a leisurely walk through Portal proper is always worth the time. The indisputable highlight of this visit’s stroll was our first encounter with blue-throated hummingbirds, the largest US trochilid and, in spite of its relatively bland plumage, one of the finest of all. We would see many more blue-throateds at the feeders of the Southwestern Research Station, but to watch our first in the quiet of an almost chilly morning, with the tall rhyolite cliffs aglow, remains one of my favorite memories from the entire trip. An inscrutably worded sign on the road to Onion Saddle left us scratching our heads; but it all came too clear when we arrived at the entrance road to Rustler Park: closed. Closed for a prescribed burn. It wasn’t the end of the world, and the road to Barfoot was still open, but the fire exercise (which seemed not to be going on in any event, no smoke, no flames, no firefighters in sight) had just cost us our best chance at the Mexican chickadee. Before fleeing to Barfoot in search of the chickadee, we set up in the parking lot for the (also closed) Crest Trail, always a convenient spot to watch for birds moving up and down the creek from Rustler. 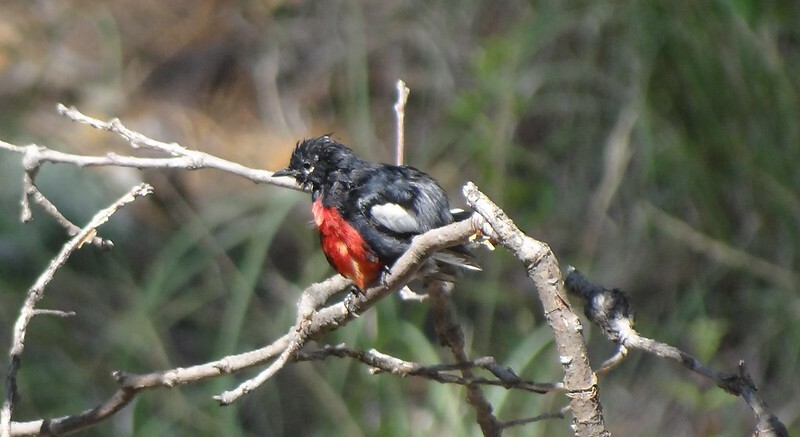 Painted redstarts and Steller’s jays showed up first, followed by that much sought-after high mountain specialty, the American robin—and then a hermit warbler, and another, and another. The flock grew rapidly as pygmy nuthatches flew in, and then, finally, two Mexican chickadees—the chickadee—joined the rest. This species can be shy and very difficult to see, but these birds, while busy and active, stayed nearby for some minutes, several times pausing in the open as if to invite admiration. 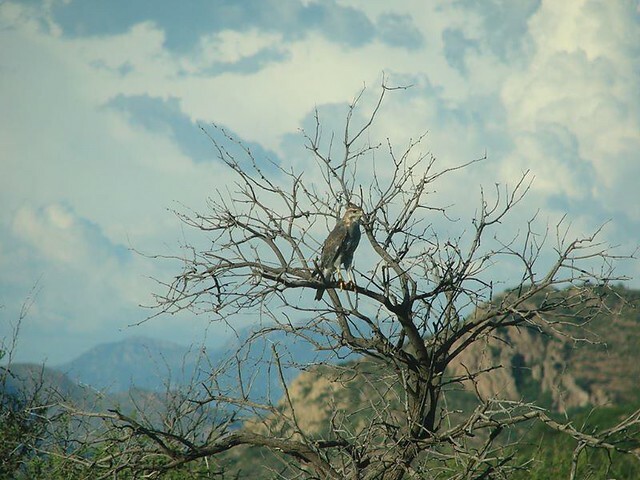 And admire we did: found in the United States only in the Chiricahuas and in New Mexico’s Animas Mountains, this is one of the most desirable of all birds north of the Mexican border, one that can easily be missed on a single day’s visit to the Chiricahuas. It was a long drive back to Tucson, this time unmarred by flats. 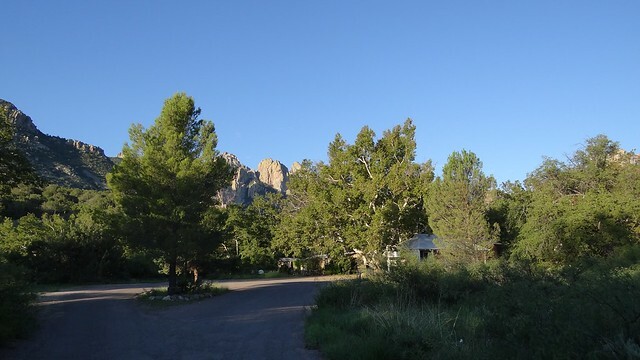 Our hotel was waiting for us, and we had time to briefly settle in before setting out on one last drive through the western foothills, enjoying our final encounters with Gambel’s quail and phainopeplas, house finches and Gila woodpeckers. Wait. One last drive? Final encounters? Something tells me that we’ll all be back—the sooner, the better. If your bird club is interested in a private tour — choose your destination, set your dates — just drop me an e- at birdaz@gmail.com. Discounts are available for groups that bring their own jacks and spares. Well done, Sue! Drop me a note and we’ll work out getting you your prize. This stunningly beautiful black-crowned night-heron was hunting one of the ponds in Tucson’s Reid Park last week. It was peacefully minding its own piscivorous business until a young human couple approached. The night-herons here are used to disturbance, and this one stood his stolid ground even as the young park-goers came closer and closer. Finally they were within touching distance, and the man of the couple couldn’t resist showing off to his girlfriend with a series of mock charges at the bird, which simply looked up before turning its gaze back to the possibility of prey. The young woman blanched and tugged at her boyfriend’s arm. Last I saw, they were slowly, slowly backing away from the pond and the terrifying heron.